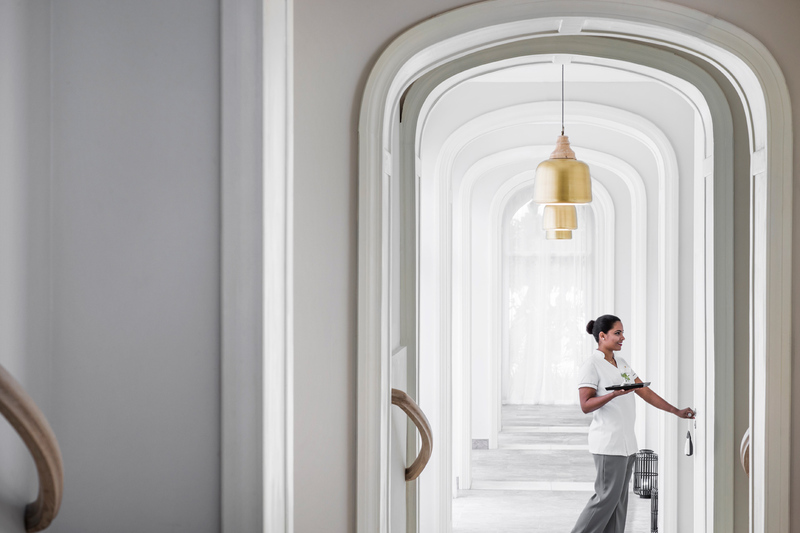 Surrounded by what seems like a thousand twinkling candles, within the secluded setting of your suite, allow your personal waiter to serve the mouth-watering menu you created in consultation with our chef. 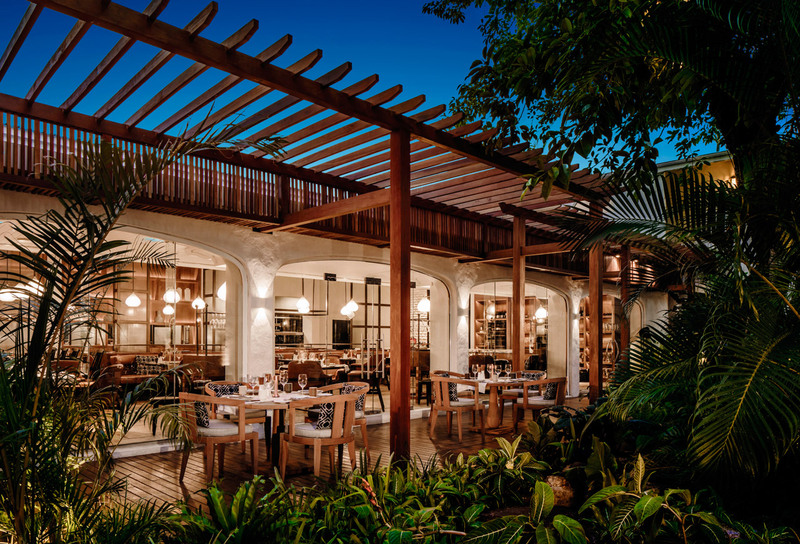 Our celebrated steakhouse serving the finest Australian Angus Wagyu beef, fresh seafood and local produce has come into its own with a new rustic aesthetic that incorporates open food preparation stations,impressive wine displays, and a new ‘water courtyard’ seating area. 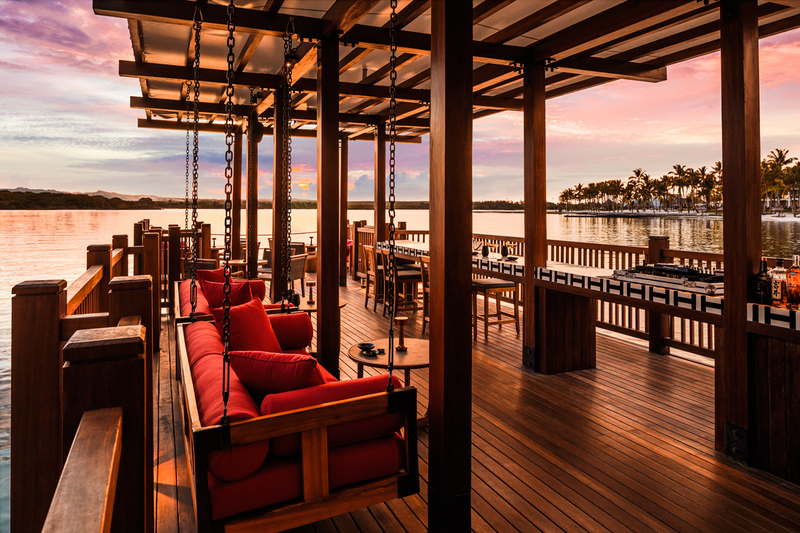 The most breathtaking lagoon venue with over-water seating offers a completely original fusion menu that blends the concept of Spanish tapas with exciting pan Asian flavours, for a trulyunique experience. In our much loved, main restaurant, chefs prepare a wide range of delicious local and international specialties before your eyes in brand new open kitchen stations. At the same time, re-modeled al fresco dining pavilions sits atop outdoor water features for a stunning open-air dining experience. 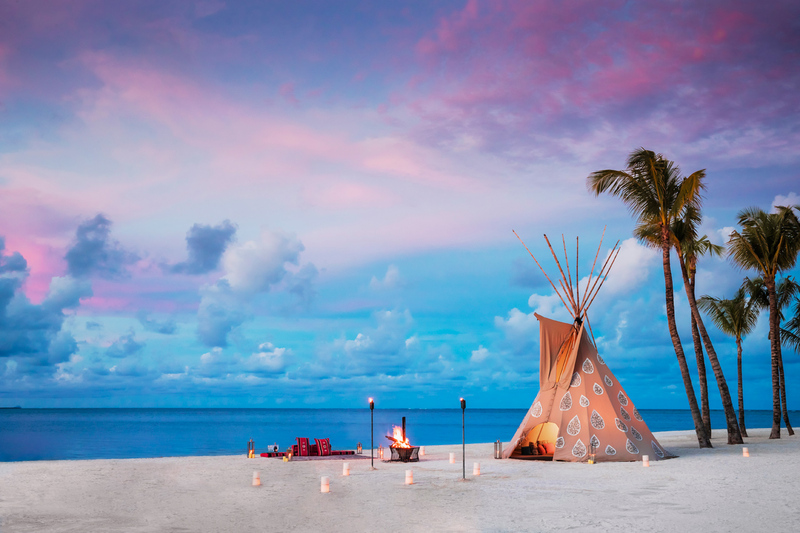 Soak up views of our peninsula’s northern tip from the decadent surrounds of our luxury Tipi. 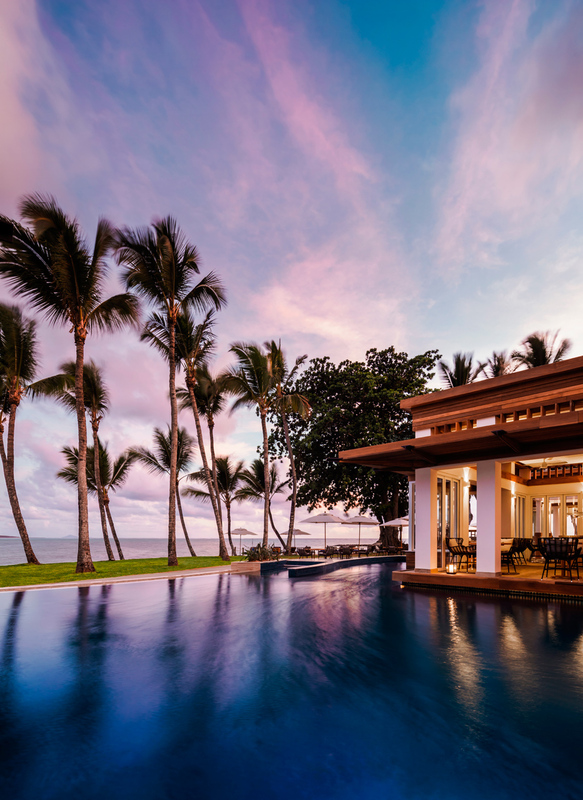 Set on an idyllic stretch of secluded beach, it’s the ultimate retreat for family and friends. The striking exterior is hand-stitched with jewels that shimmer in the setting sun, while colourful cushions and textiles adorn the interior under a suspended Parisian glass chandelier. 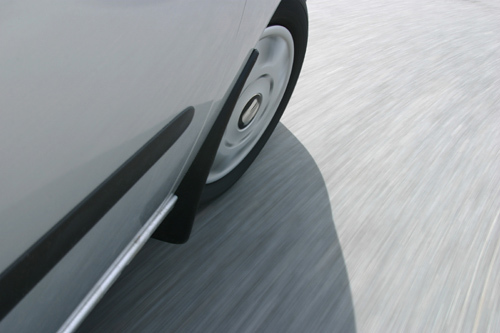 With your generous wedding gift, we will travel in comfort and style. One&Only Luxury Car ( Range Rover). On our intimate honeymoon in paradise we will discover the ultimate escape. 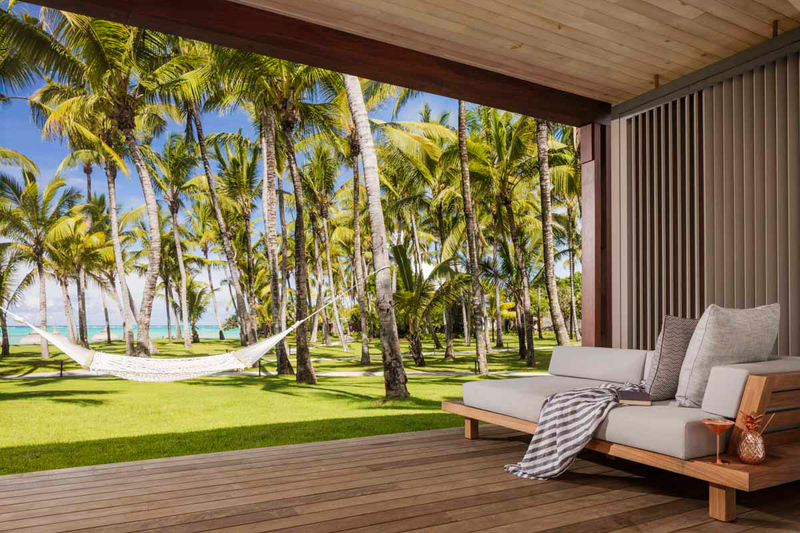 At One&Only Le Saint Géran we will experience an array of endless amenities and services that is attentive, yet unobtrusive. 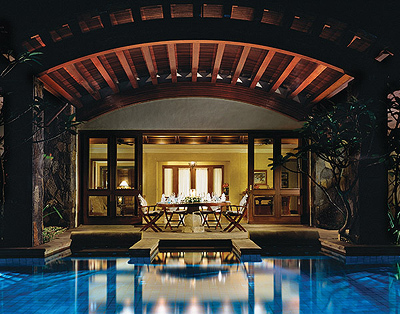 We will delight in the fresh flavors of paradise with a journey of the senses at one of the restaurants. We will indulge in a round of our favorite drinks while being entertained by live music. We will journey to a world of peace and calm with a soothing spa treatment for two or we will embark on an exciting adventure. 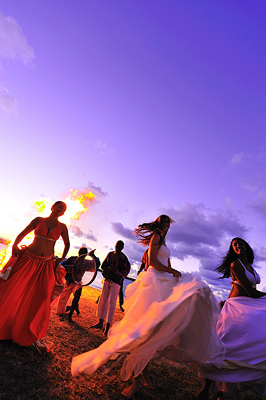 One&Only Le Saint Géran promises us an exotic honeymoon oasis drenched in tropical luxuries! 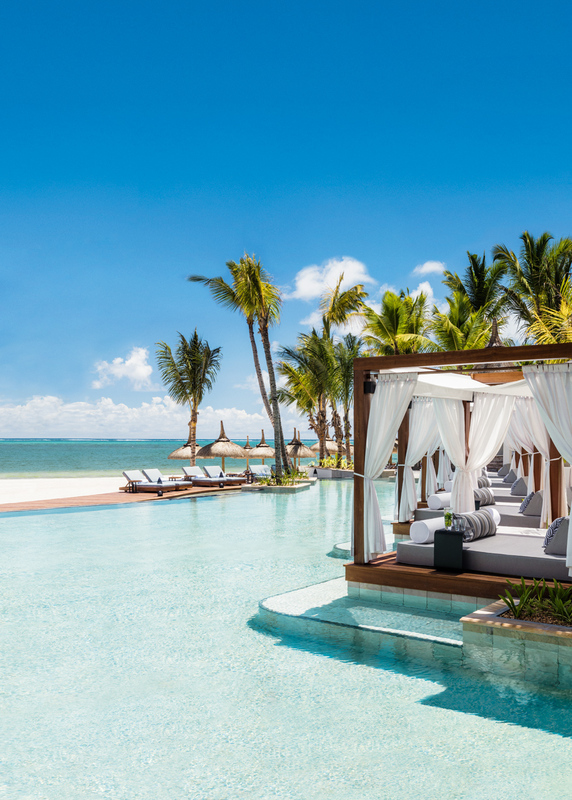 Welcome to One&Only Le Saint Géran. 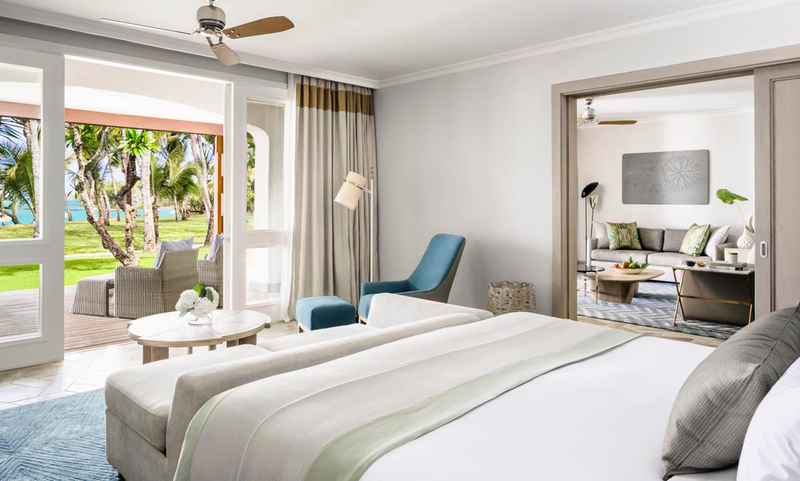 Cradled between an aquamarine lagoon and the Indian Ocean, the resort’s timeless surroundings remain untouched; while Mauritius’ natural gifts, craftsmanship, hospitality and style and have been rewoven to enhance every aspect of its fabric. Join us in celebrating your most treasured memories and create a lifetime of new ones from this unparalleled part of the world. Whether you’re envisioning a large traditional wedding, an intimate gathering, civil partnership or your own form of ceremony, we pride ourselves in making your wedding a more magical occasion than you could ever imagine. This soothing yet firm pressure point massage incorporates warm herbal poultices to alleviate muscular aches and pains. 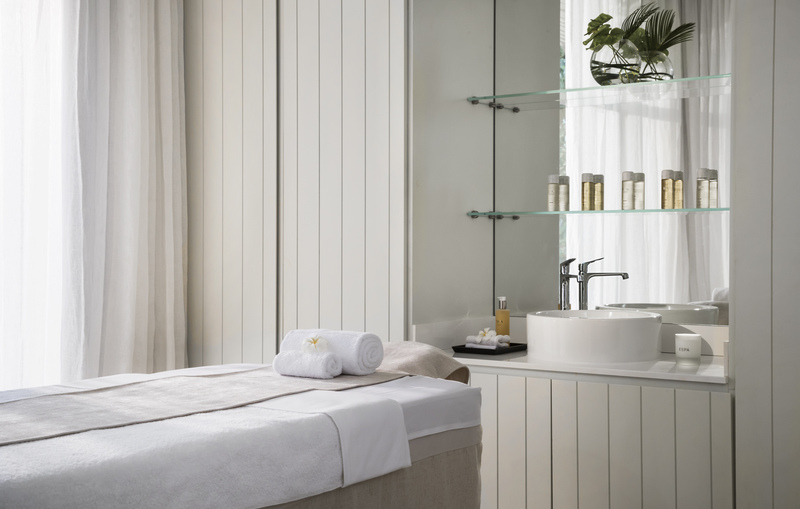 First, your body is prepped for its massage with an invigorating exfoliation. Fragrant aromatherapy oils are then massaged into the skin, enhanced by the restorative powers of Mauritian herbal poultices. Emerge revived with boundless energy. Nourish, brighten and hydrate your skin – and reveal your natural radiance. Deep cleansing with Clarisonic brushes, plus a lifting and smoothing facial mask, make this the ultimate facial to boost cellular regeneration, reduce fine lines and wrinkles, and invigorate your skin. What more could you need? This revitalising treatment concludes with a facial massage, using rose quartz crystals to soothe redness and deliver radiant and glowing skin. Second Skin is a lifting and regenerating electrospun mask, with 80% hyaluronic acid, that repairs damaged skin. 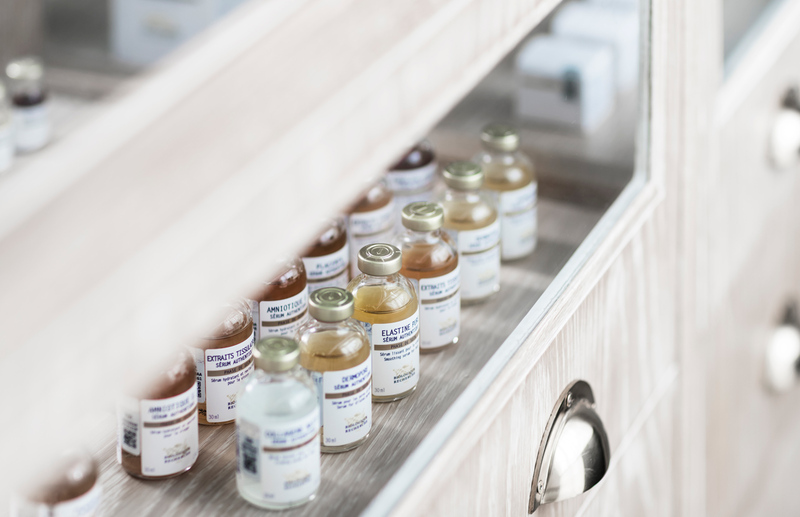 A less invasive alternative to fillers, this exceptional treatment will visibly lift signs of ageing and smooth your features. Skin Instant Lab® This unique analysis is the first stage in your Biologique Recherche treatment. It identifies your Skin Instant® – the precise condition of your skin at any given time. Remodeling Face® Wider-looking eyes, sculpted cheekbones, fewer visible wrinkles and more clearly defined facial contours: these are just some of the benefits of Remodeling Face®. This state-of-the-art bio-electro stimulation technique combines four power currents to produce immediate and long-lasting results. The prep treatment is designed to get your skin in peak condition so you can make the most of this beautiful sun-kissed island. We’ll begin with a body polish, removing dry skin to prepare you for a day’s sun-worshipping. 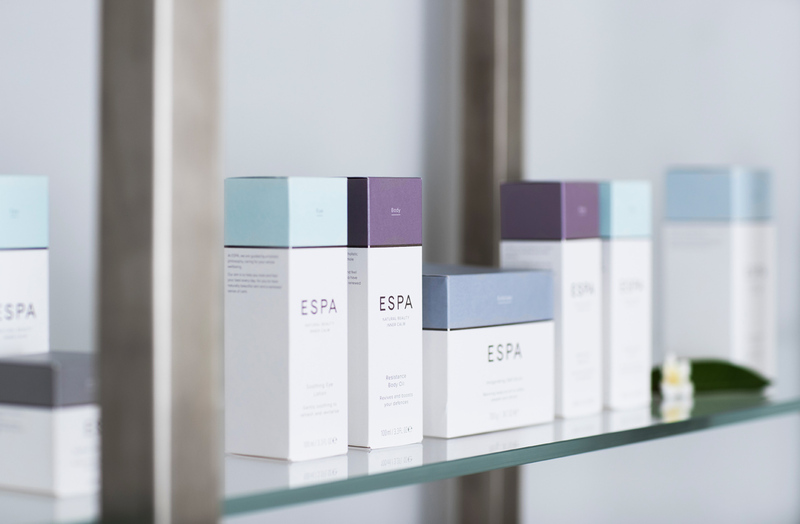 The post-sun treatment nourishes and soothes your skin, prolonging your radiant glow. Designed specifically to purify, hydrate and soothe male skin. This deeply cleansing facial buffs away dead skin. You’ll feel like a new man. The pace of everyday life can leave you feeling frazzled. Slow it down and refocus with this mindful treatment. Your therapist will guide you through breathing and visualization techniques to help relax the mind and release any physical or emotional anxiety. Tension in the feet can reflect imbalance in your whole body. We address this with acupressure point massage to the soles of your feet during your full-body massage. A re-energizing scalp massage with warm rose quartz crystals will gently ease you back to reality. 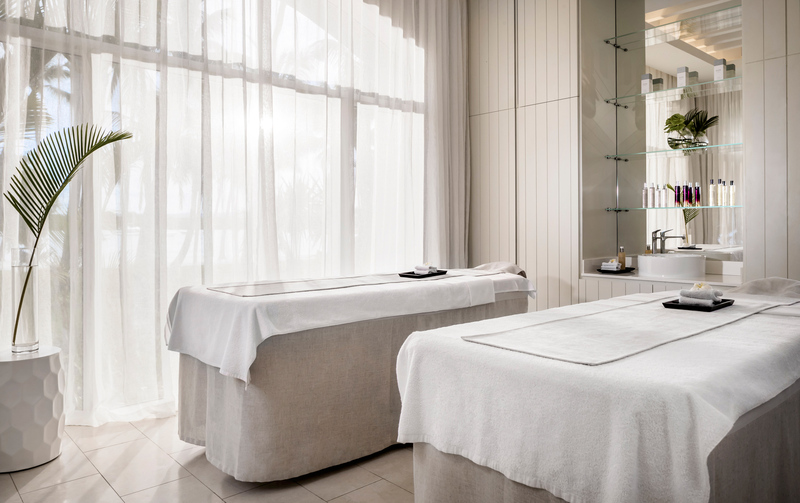 We guarantee this treatment will leave you with a renewed sense of inner calm. A full foot overhaul to eliminate hard skin and dryness. 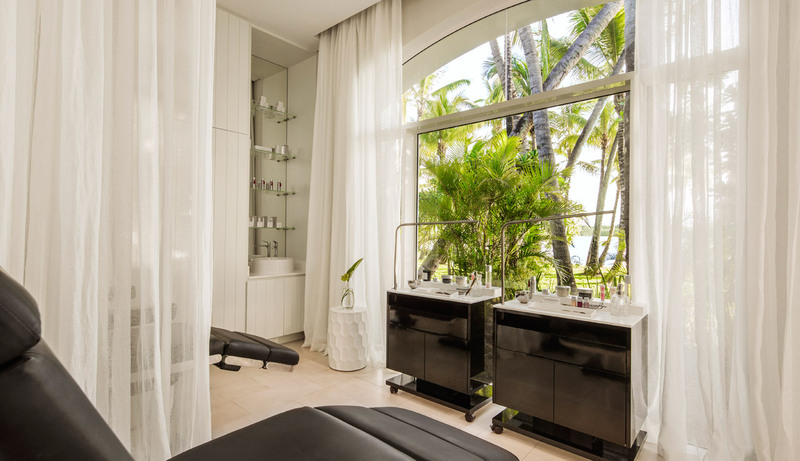 You’ll love this bliss-inducing treatment. A massage from your toes up to your knees will relieve any muscle tension and heaviness, and stimulate circulation. All topped off with a gentle buffing nail treatment which restores the natural beauty of the nail, leaving it looking healthy and shinny. An exceptional manicure in three simple steps: a cuticle and nail treatment, natural filing and buffing and a gentle massage of the forearms, wrists, hands and fingers. Your nails will be restored to their natural elegance.